Thank you so much, it looks beautiful. We really appreciate the photos and your work. Luxurious and somewhat special, exotic orchid flowers have a special place in floral history and their beautiful blooms are treasured around the world. In New Zealand we are so fortunate to have many expert orchid growers - many of whom export the most stunning stems of cymbidium orchids around the world - N.Z. orchids are particularly popular in Japan. When are Orchid Flowers in Season? The stunning N.Z. grown Cymbidium Orchids are a wonderful winter flowering bloom - With tall stately spikes of super long-lasting flowers they are a real treasure in this cooler time of year and look stunning and will give weeks of pleasure. There is also the delicate and soft miniature polymin orchids - which look just like wee ballerinas around in the winter months usually starting in May - September. The Phalaenopsis orchid for us usually comes on a lovely living plant and they are just stunning! Pure white blooms with the intriguing throat detail, very very popular as a house plant and suit any decor. The moth orchid plant is actually much easier to grow and look after than many realise - the key is to not over water your plant. In Nature they would be growing in the tropics, high up in the trees attached by their roots to the host plant - this means that when it rains they get thoroughly wet but the water immediately drains away. So don't let these beautiful plants sit in water with "wet feet". 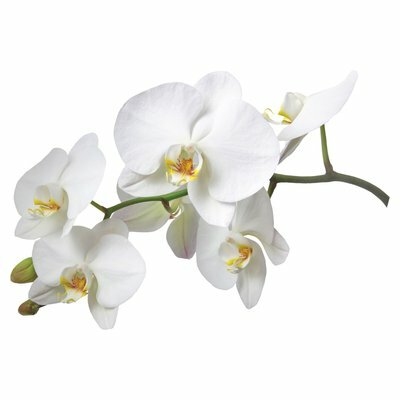 For same day delivery Orchids in Auckland - Order Business addresses before 10.15am, Home address cut off is 2.15pm and of course you can specify any future date for delivery. Saturday same-day delivery order by 10am. Orchid Plants, Orchid Flowers, Orchids Auckland.